STIB, which is widely regarded as the China’s Nasdaq, was initially announced by President Xi Jinping in his keynote speech at the opening of the first China International Import Expo in Shanghai on November 2018, that the Shanghai Stock Exchange will launch a new board to experiment with a registration-based system for listed companies, reported China Daily. The CSRC has now issued a statement saying that the STIB will focus on companies in high-tech and strategically emerging sectors such as new generation information technology, advanced equipment, new energy, new materials and biomedicine. Eligible companies are allowed to be listed by filing required documents under the pilot registration system, while the current new shares of the A-share market (A股市场) have to gain approval from the securities watchdog. The new regulation formula gives the Shanghai Stock Exchange greater freedom to attract potential technology startups, amid growing competition from rival exchange including the Hong Kong Stock Exchange and Nasdaq. “Establishing the sci-tech innovation board and piloting the registration system is a key reform initiative for the capital market to enhance the capability to serve sci-tech innovation enterprises, raise market inclusiveness and strengthen market functions,” the Shanghai Stoch Exchange says in a statement at its website. “Through new mechanisms of issuance, trading, delisting, investor suitability and capital restriction for securities companies, through introducing medium-and long-term capitals and other supporting measures, the pilot program will be carried out in an incremental way, and new capitals will be introduced in accordance with the progress of the pilot program, thus aiming for a balance between investing and financing, between the primary and secondary markets, and between the interest of old and new shareholders in listed companies, facilitating positive market expectations,” says the statement. The new board will make it the first time that a Chinese stock exchange adopts a registration-based initial public offerings (IPO) mechanism to startups fundraising. Under the registration-based IPO system, regulators will review applicants’ earning potential, rather than requiring them to meet the requirements of being consistently profitable for 5 years, such as the A-share market. 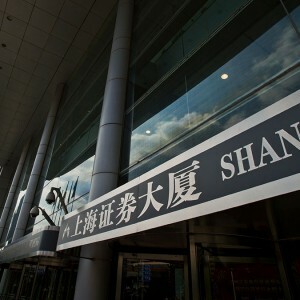 The A-share includes the only two Chinese stock exchanges, the Shanghai Stock Exchange and the Shenzhen Stock Exchange. A-shares are shares of mainland China-based companies, and these shares were historically only available for purchase by mainland citizens because China restricts foreign investment. Since 2003, select foreign institutions can purchase them through the Qualified Foreign Institutional Investor system. The Science and Technology Innovation Board uses a market-oriented pricing principle to the institutional investors. The registration system will bring about a stronger market-based regulation mechanism, which highlights "foot voting" of risk-savvy investors and the responsibility of securities intermediary institutions. "It will have a profound influence on the future rollout of the registration system in the main board, the SME board and the ChiNext board," reported Xinhua News Agency, citing Dong Dengxin, head of the research institute of finance and securities with Wuhan University of Science and Technology. The STIB provides a new financing channel for Chinese technology-based enterprises, and also provides an exit channel for VC/PE investments; the registration system helps the venture capital market form a real closed cycle. But the problem is also expected that many worthless enterprises, also known as “zombies”, will enter the new board under the relatively flexible access policy. The new rule also provides stringent information disclosure and delisting terms to protect the interests of investors, which is conducive to the optimization of stocks in the capital market and the realization of the transformation from empty economy to entity economy. The regulator has set up an investors access management section in order to protect the potential investors. The rules require investors to have at least 2 years experience on stock market trading and CNY 500 thousand for investment. The regulation rules also require the issuer, sponsors, securities trading service institutions, and the stock exchanges to take responsibilities to disclose relative information. The registration system relies heavily on information disclosure. At present, the level of information disclosure of domestic enterprises needs to be improved, and the protection mechanism of investors’ rights needs to be further improved. It is worth noting that the design of the trading system and mechanism of STIB challenges the wisdom of supervision that needs to be a balance between the regulatory appropriateness and market liquidity. There is no doubt that the STIB will attract lots of Chinese technology unicorns for their IPO, and we have picked the following potential enterprises that are most likely to go public on the STIB from EqualOcean’s EO 500 portfolio. SenseTime is an artificial intelligence company that focuses on innovative computer vision and deep learning technologies. It has raised USD 2.89 billion from investors home and aboard. Bytedance is a recommendation system product based on data mining that recommends valuable, personalized information to users in China. Alibaba-backed Souche, a leading automotive new retail platform in China, is founded by Mr. Yao Junhong. About the EO 500 portfolio: EqualOcean reports and researches companies with potential from the investor's perspective, and is covering an increasing number of outstanding startups in EO 500 portfolio. The portfolio comprises innovative companies, which are highly valued (mainly unicorns) with new technologies, solid teams, growth potential, and huge market demand, etc.